Experience the pyramids in Giza astride a camel during sunset or sunrise on this private half-day tour. 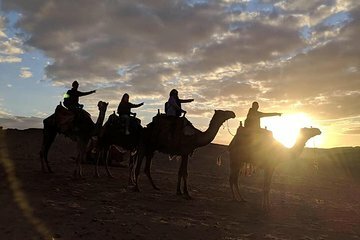 Camels were used as an ancient mode of desert transportation, and this excursion allows you to see the landscape and the popular pyramids from a different perspective. Your Egyptologist guide will explain the history of the pyramids during the ride.